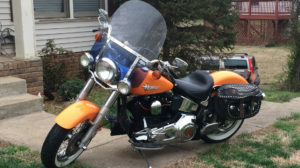 WHAT KIND OF MOTORCYCLES CAN BE SUBMITTED? Any and all kinds. If it has two or three wheels and a motor it is a motorcycle to us. All brands are welcome to participate: Harley, Indian, Honda, Yamaha, Kawasaki, Suzuki, BMW, KTM, Victory, Triumph, Ducati or even YamaSuki’s. 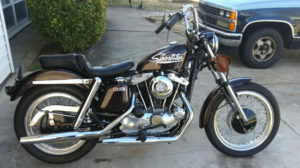 If it is a cool ride please submit it to the Garage Build website. Every person who submits a build gets a free hat. Only one hat per person. Cool huh? Please note: Garage Build hats will only be sent free of charge to people that reside in the United States and Canada. 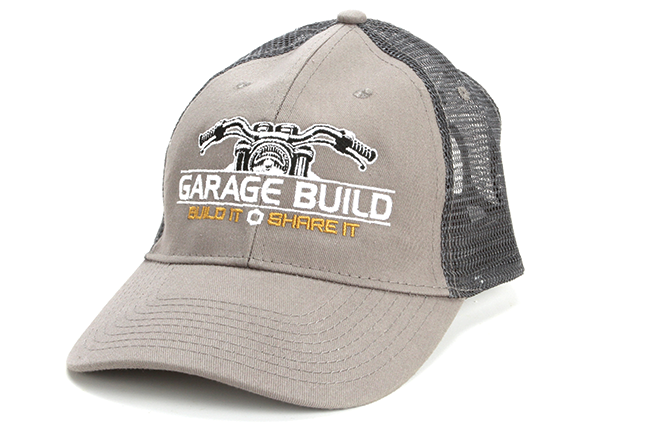 People living in other parts of the world can receive a free Garage Build hat if they pay the shipping charges. WHAT ARE THE JUDGING RULES? 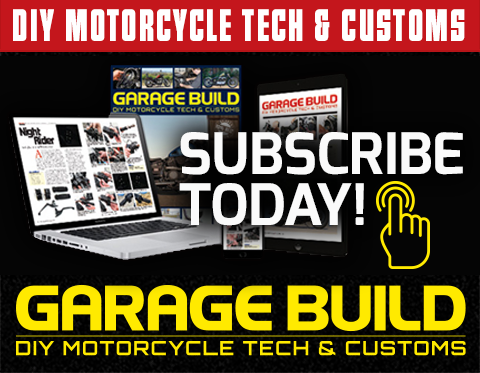 All winners will be selected by the Garage Build Garage magazine staff. There are no defined judging criteria. The judges will select winners based solely on their own determinations. The decisions are theirs to make and not subject to review or appeal. No pro-builds will be posted to the website. Business names cannot be used in the build copy or on the images of the motorcycle. WILD CUSTOMIZATIONS are those projects that range from ground up customs to heavily modified factory motorcycles. The budget for these projects likely exceeds $10,000. MILD CUSTOMIZATIONS are those projects that enhance a factory motorcycle in some way. 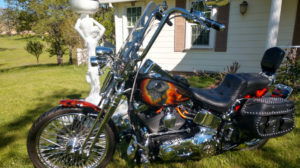 It may be a few bolt on accessories, a different paint job or many other changes that modify the bike from stock condition. The budget for these projects is likely under $10,000 in changes to the bike. What class the bike is put into will be determined by the crew that reviews the project submissions and posts them to the Garage Build Website. 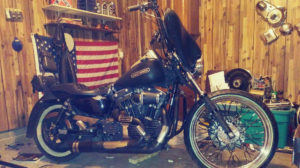 In order for a motorcycle to be posted on the Garage Build website you have to provide a few good photos and some detailed copy regarding your build submission. The Garage Build staff will determine whether or not you have provided enough good content to qualify for a Garage Build posting. If there is not enough content we will let you know that we did not post your build for that reason. 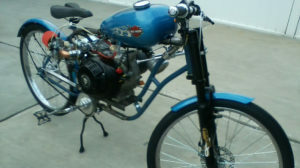 Motorcycle builds cannot be submitted more than once per calendar year. On June 30th and December 31st, 2 winners will be selected. One from the Wild Custom category and one from the Mild Custom category. Each winner will receive a $250 Dennis Kirk Gift Card. On June 30th and December 31st, a winner will be randomly selected from the pool of email addresses that visitors have submitted. Winners will be selected at random. 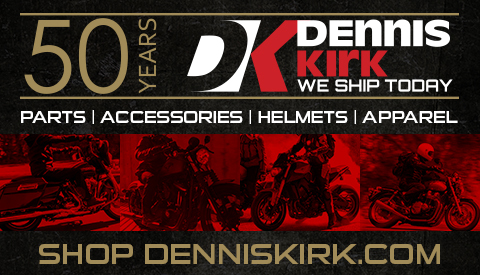 All you have to is submit your email address and you can win a $100 Dennis Kirk Gift Card. Be sure to enter your email address during every 90 day period to remain qualified for the drawing. Gift card winners will be required to submit a completed W-9 tax form before the gift card will be issued. Gift card winners agree to submit their photograph to be posted on the Garage Build website. Gift cards will be sent to the winners via USPS delivery. Once posted to the Garage Build website Dennis Kirk reserves the right to share any copy, comments, photos and videos it chooses to on any social media platform it chooses. So if you don’t want it shared, don’t post it. We encourage everyone to share Garage Build on Facebook, Instagram, Twitter and other social media platforms. The more we share the more fun it will be! Feel free to post comments. In fact, we highly encourage it. However, badgering and bullying other posters will not be tolerated. If an unacceptable post is made that person will be blocked from posting any future comments.